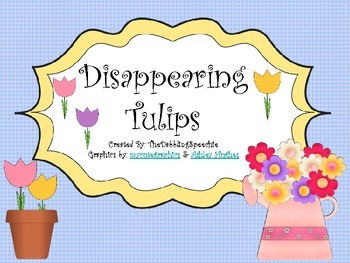 The Best of Teacher Entrepreneurs II: Math FREEBIE Game- Disappearing Tulips! This is a great fun FREEBIE math game to play with your students that is inspired by the "disappearing trains" math game. Works on adding and subtracting while the students are having fun! It can also be a great reinforcer game to use while targeting other skills. Grab this fun spring math FREEBIE game in my TPT store!